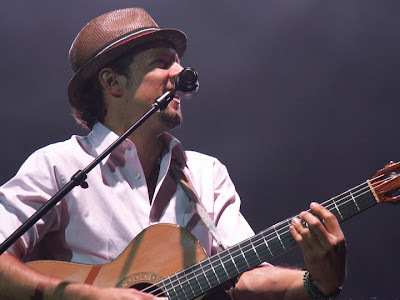 One of my favorites, Jason Mraz, performed at Eastern Michigan University in Ypsilanti last week. Time-wise, he's in that kind of limbo zone where he's pretty much finished promoting his last album and not quite ready to fully promote the next one. This still makes for a fun show where Jason can sing crowd favorites as well as some new tracks he's testing out that may or may not be released in the future. 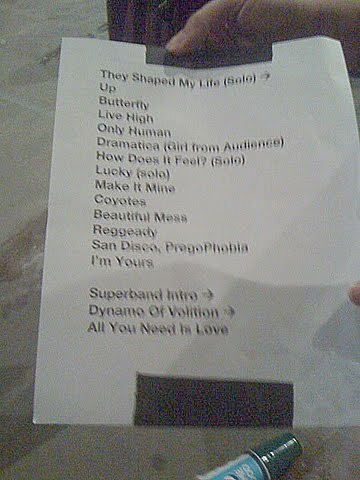 As you can see, Jason performed a lot of songs that are new and/or unfamiliar to the casual fan. Highlights included Reggeady (a reggae-infused remix of Jason's first big single, The Remedy) and a brand new song, How Does It Feel? (Which he described as a dedication to his unborn child). 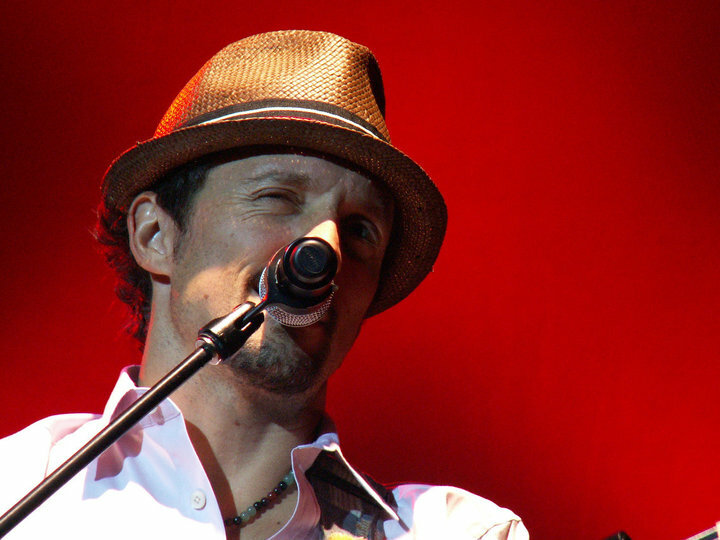 Also, Coyotes – and Jason's impressive operatic solo at the end – is a personal favorite. It may sound corny, but it's hard to leave a Jason Mraz concert without having your worries lifted and your spirit filled with gratitude. 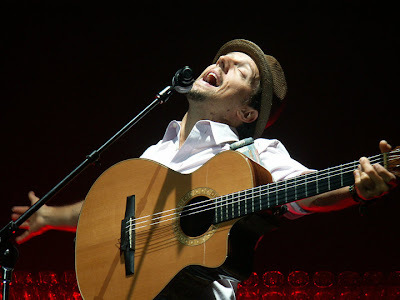 The pure joy he exudes is truly infectious. Great shots! I saw him at Interlochen. I'm a fan of all his work, but really like the sounds of the new stuff he played.